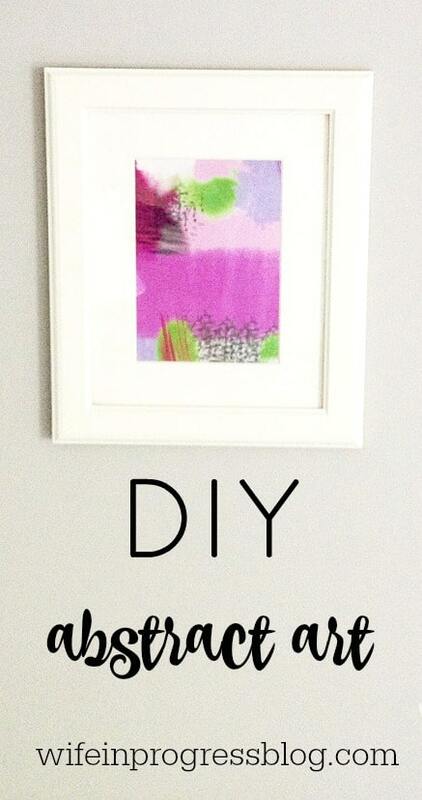 This easy art tutorial will create beautiful and cheap artwork for your home that is easily customizable to your home’s color scheme. I’m very frugal with my money….*cough*cheap*cough*. I’m also very fickle with accessories so I don’t necessarily always want to spend money on them. 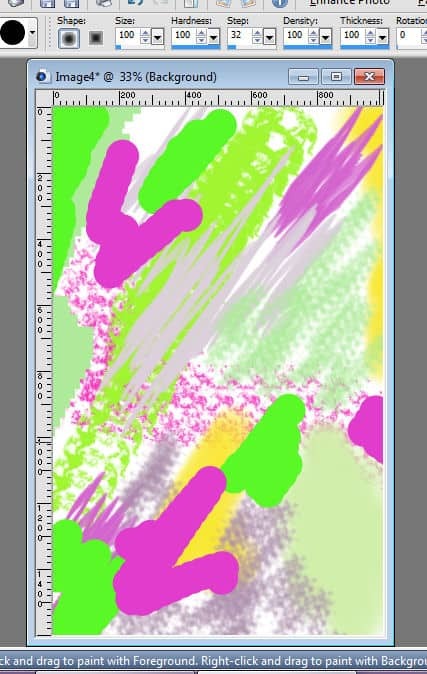 I came up with the idea of creating some abstract art on my computer. Fun, cheap and quite cathartic to make! This was a fun project to do. Anyone could do it. It would probably be good if you needed an activity to keep the kids busy for an hour or so too! There’s many ways to create your own art. 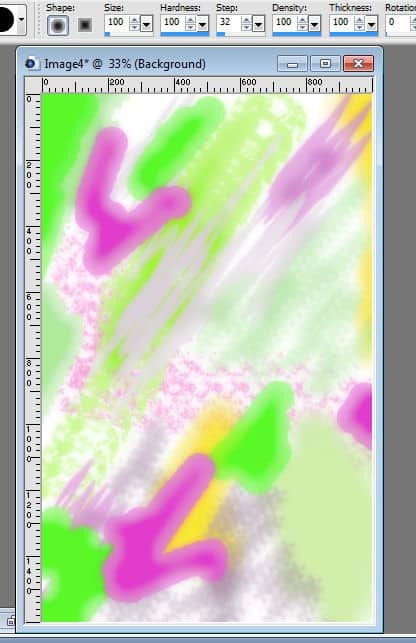 You could use a program as simple as Paint that’s included with Windows or alternatively a program such as Photoshop or Paint Shop Pro (which is what I have). 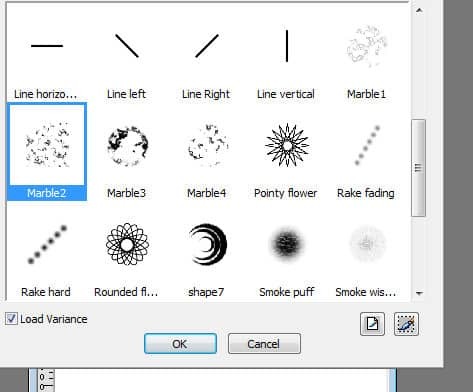 If you don’t have any software like this, there’s lot of similar online programs too (Pixlr is a great choice). What you want to do is start with a pretty large image. The larger the better for good resolution. I created mine 2500 x 3600 pixels (this is probably the minimum requirement for size). Choose a color that you want to work with. 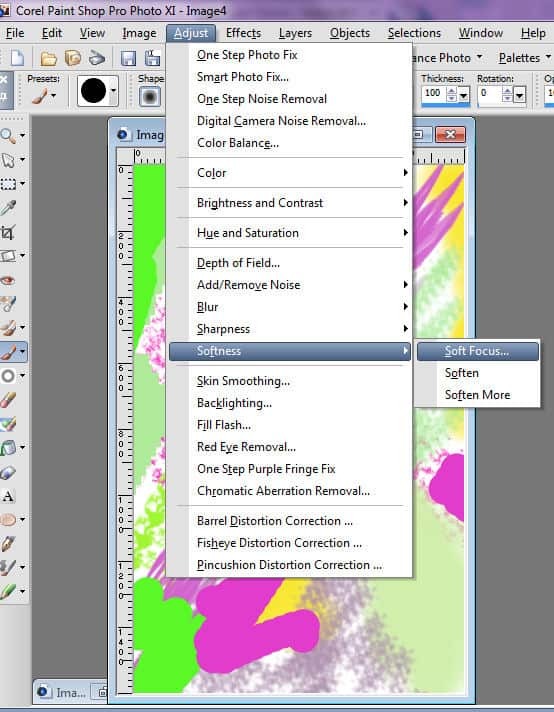 Select the paintbrush tool. Play around with the options for the paintbrush. I like some of the “splatter” effect ones. Experimentation really is key here. Change paintbrushes and colors and play around with it until you get a picture that you like. You then want to save your image as a .jpg or .bmp file. I uploaded three of the “art works” that I created to Vista Print and had them printed on 5 x 8 . I placed them in some white frames that I had previously bought from Ikea and hung them up on the wall! TA-DA! Easy peasy art project! The best part is, if I decide I hate them in 6 months time, I can afford to not feel bad scrapping them. I really like the pop of color in the room, though, so I think they’ll be staying for quite some time!